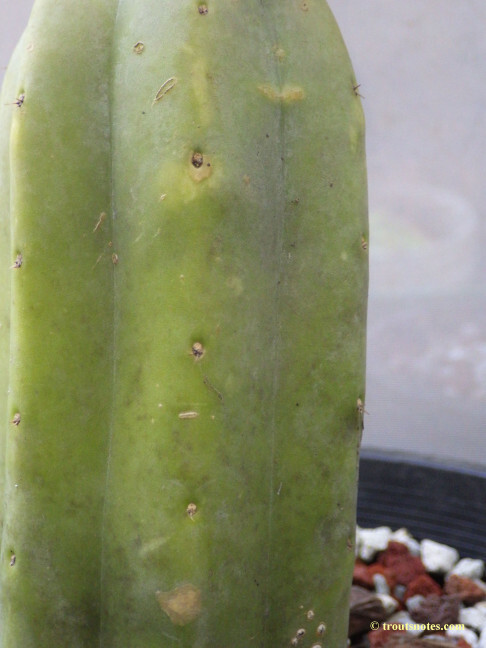 A cutting was acquired from the Huntington some years ago thanks to the kindness and generosity of Gary Lyons. 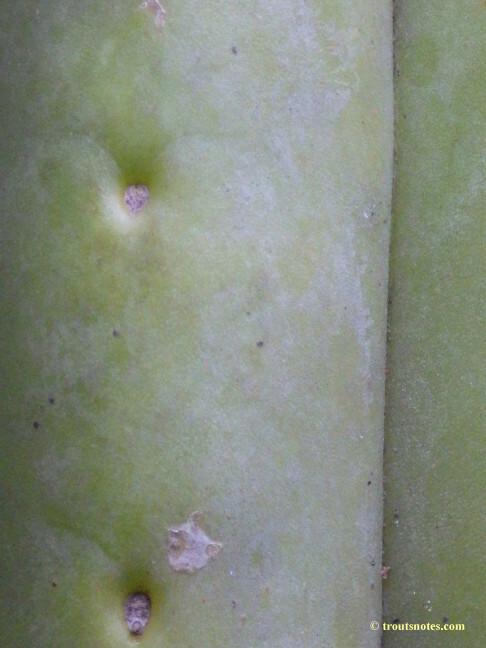 As soon as growth permitted it was cut half and rooted. 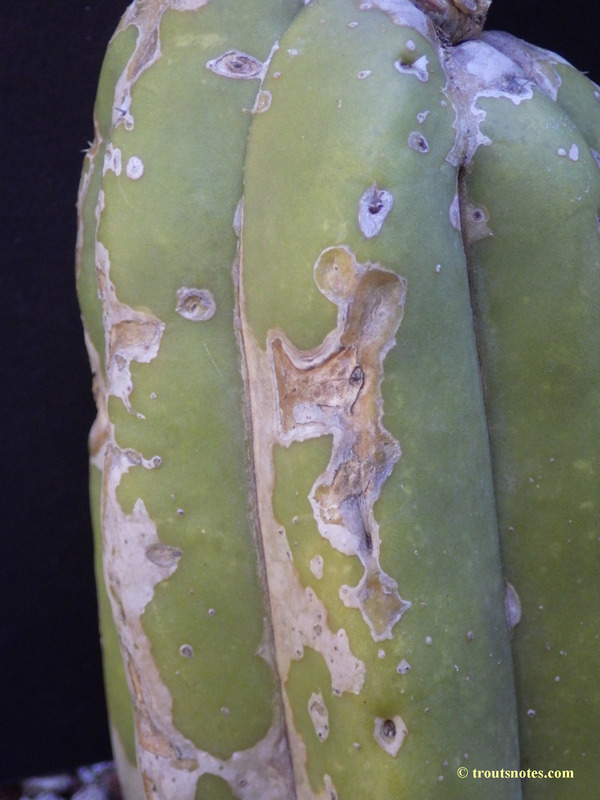 The mother plant has lost its accession card (and therefore its data) but Jon Trager told me that, due to its accession number and placement in their garden, he suspected it may have been grown from seeds provided to HBG by Harry Johnson during the 1950s. 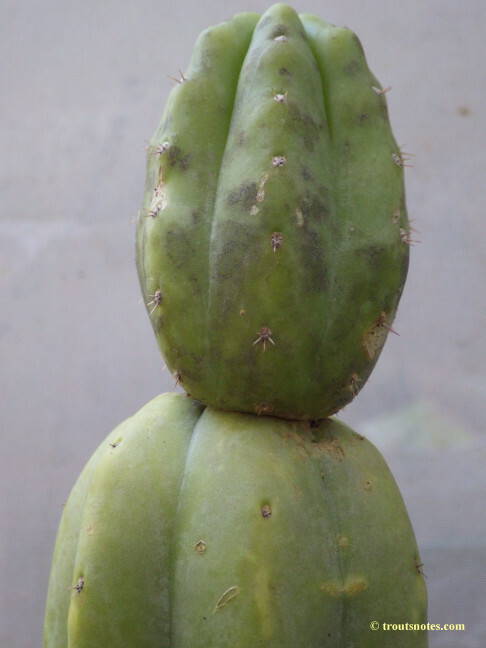 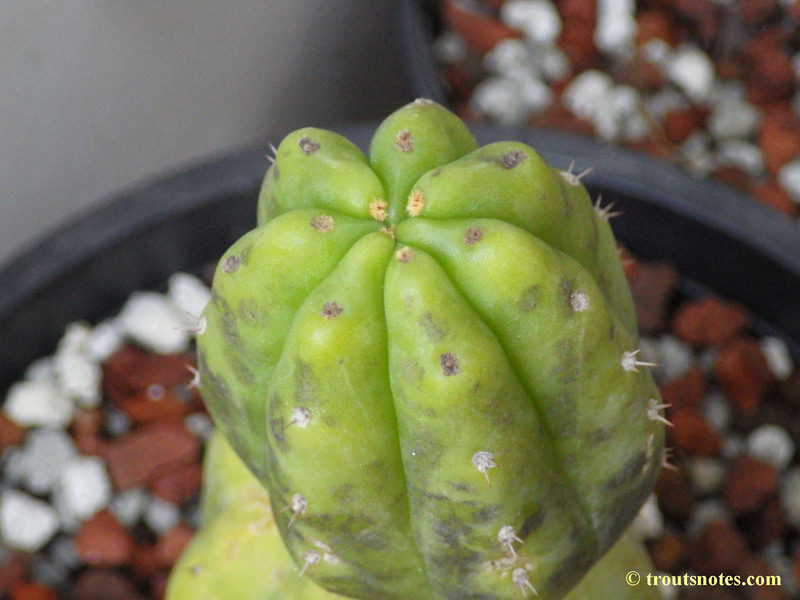 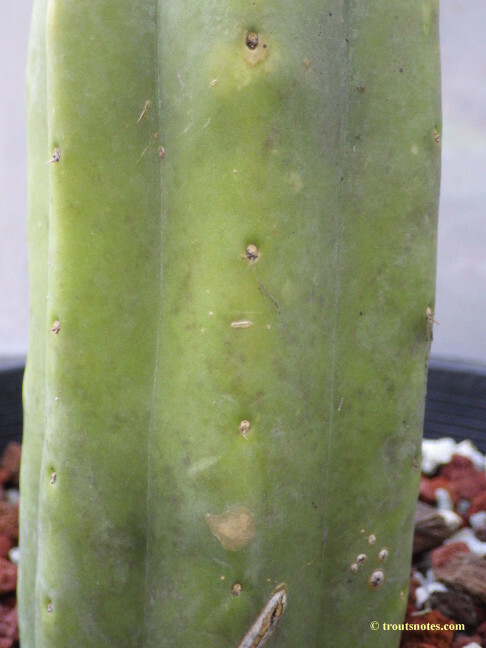 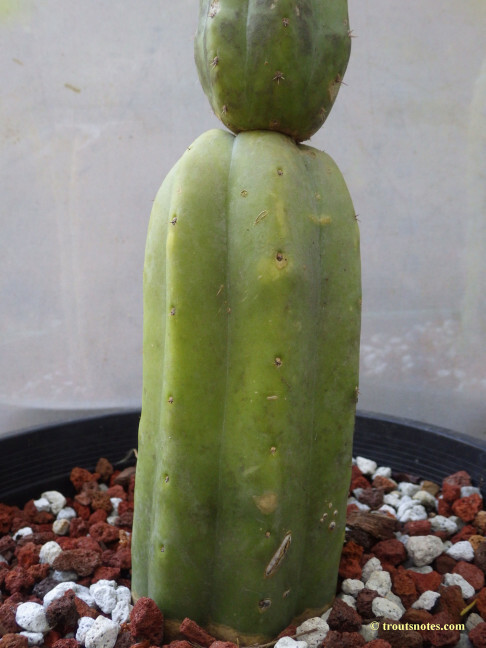 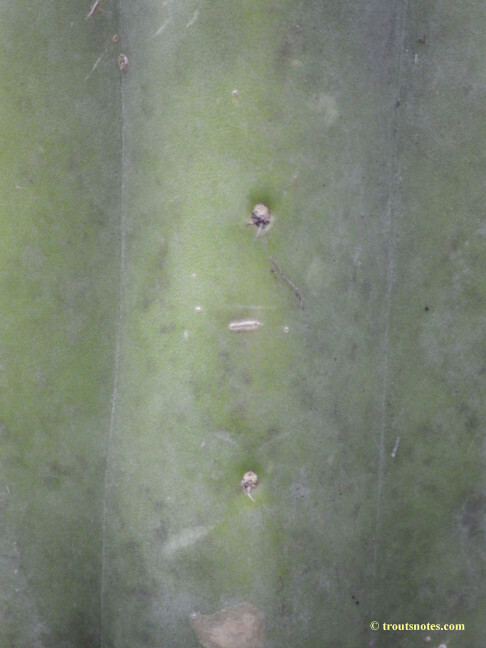 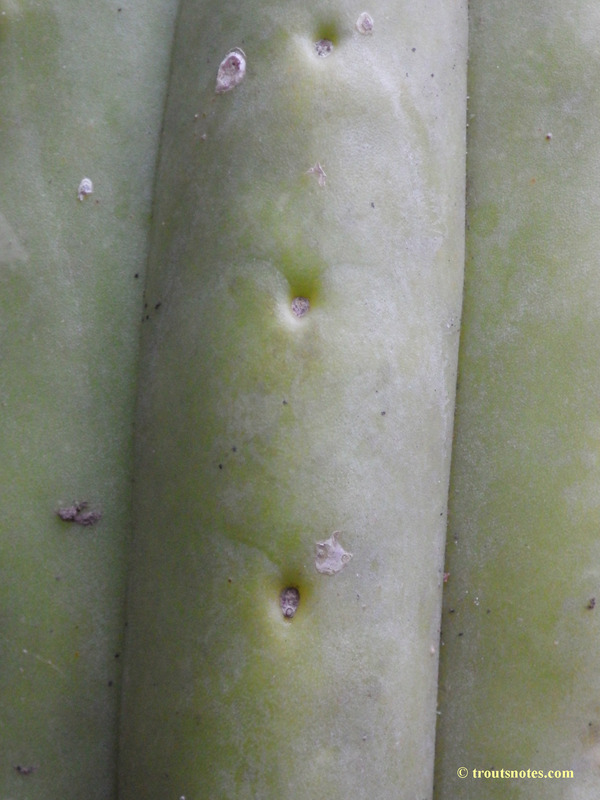 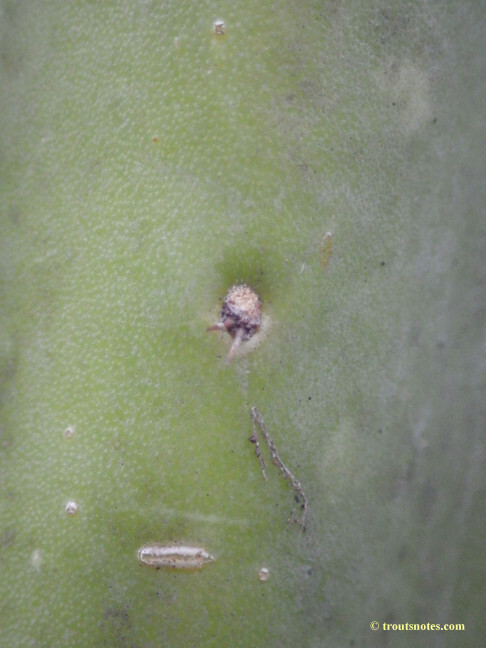 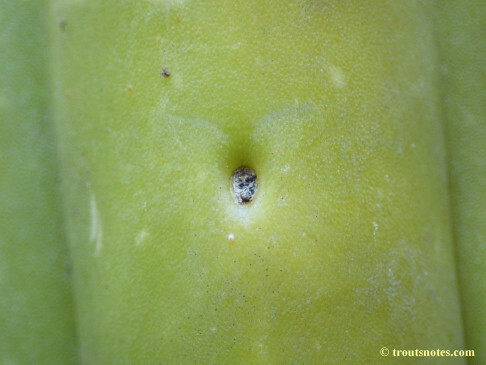 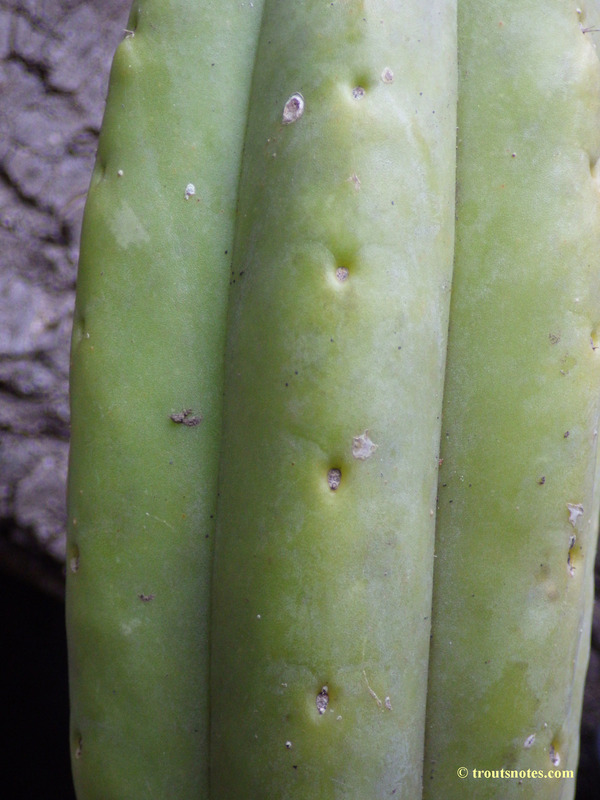 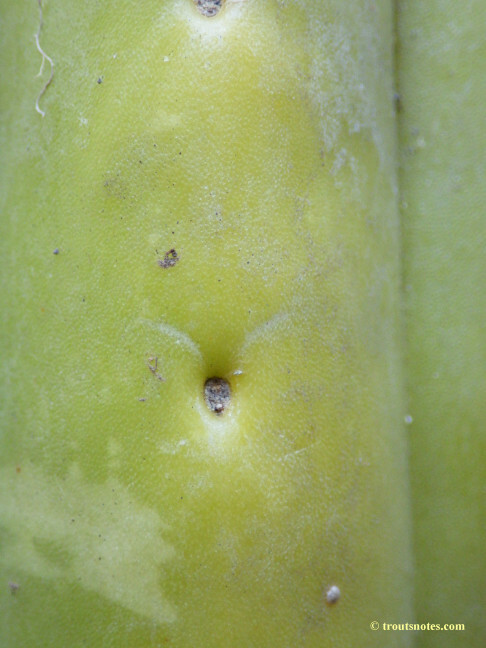 This one, however, appears to me to be a rather typical T. pachanoi as might come from Peru. 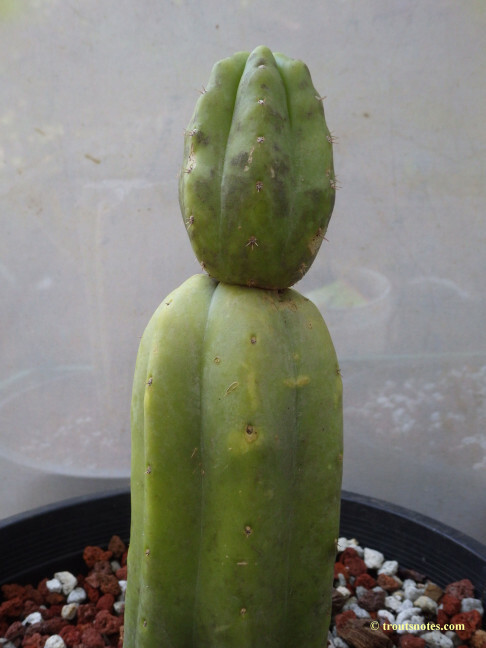 A cutting that appears to be identical was sent to me by a correspondent who acquired his plant unlabelled many years earlier at the *truly amazing* California Cactus Center. 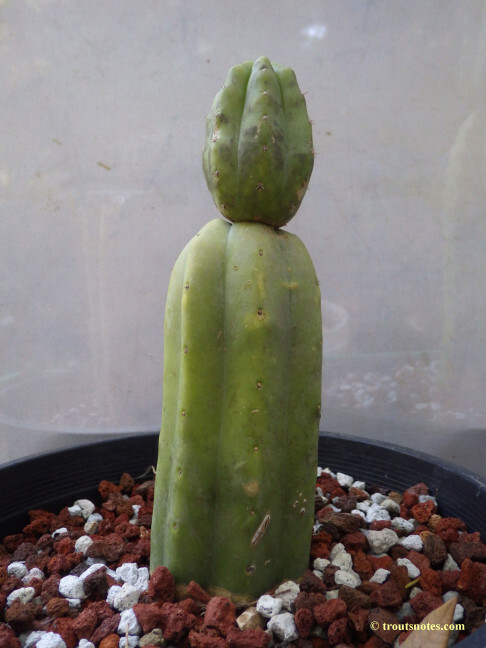 This is one of my all-time favorite nurseries and is owned by some really nice people. 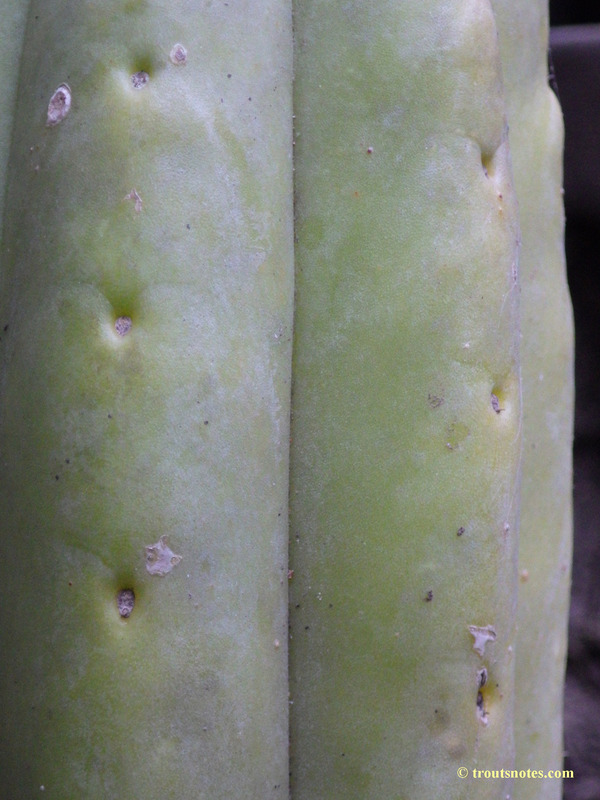 Interestingly, friends who were visiting Huanuco, Peru were unable to locate any pachanoi-peruvianus types in the area until Grizzly thought to explore the nearby wooded ravines. 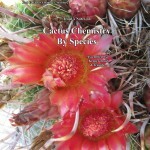 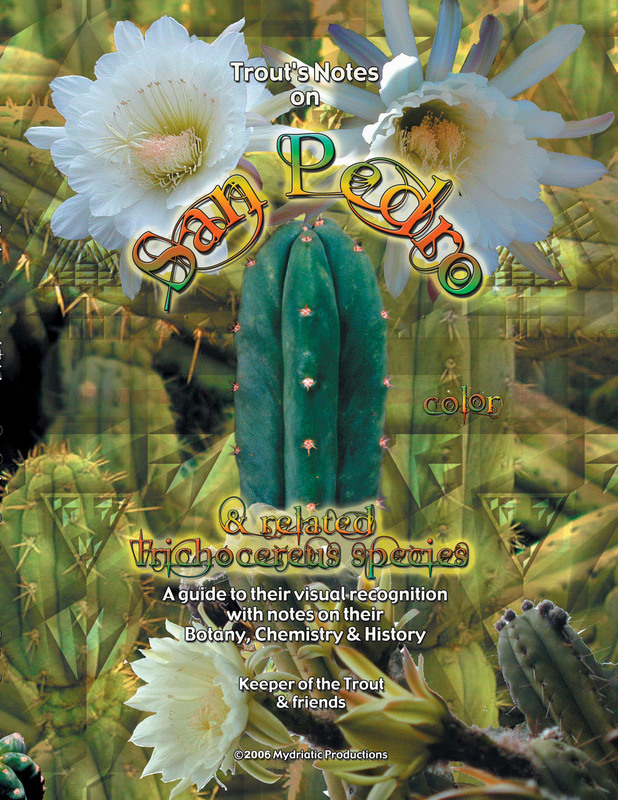 Images of his finds from near Huanuco can be viewed in Cactus Chemistry By Species. 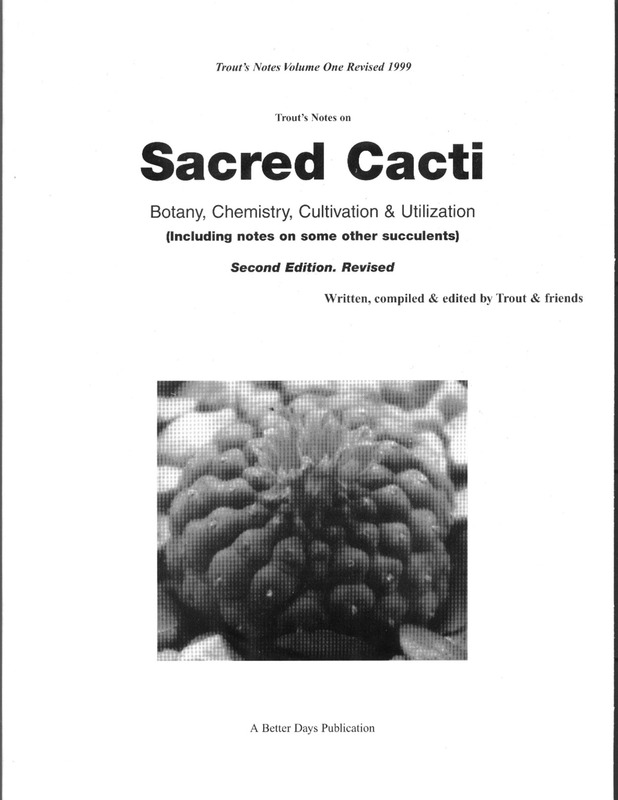 Kimnach’s review of the 1956 ‘Descriptiones Cactacearum Novarum I‘ appeared in the 1957 Cactus & Succulent Journal of America 29: 146. 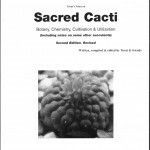 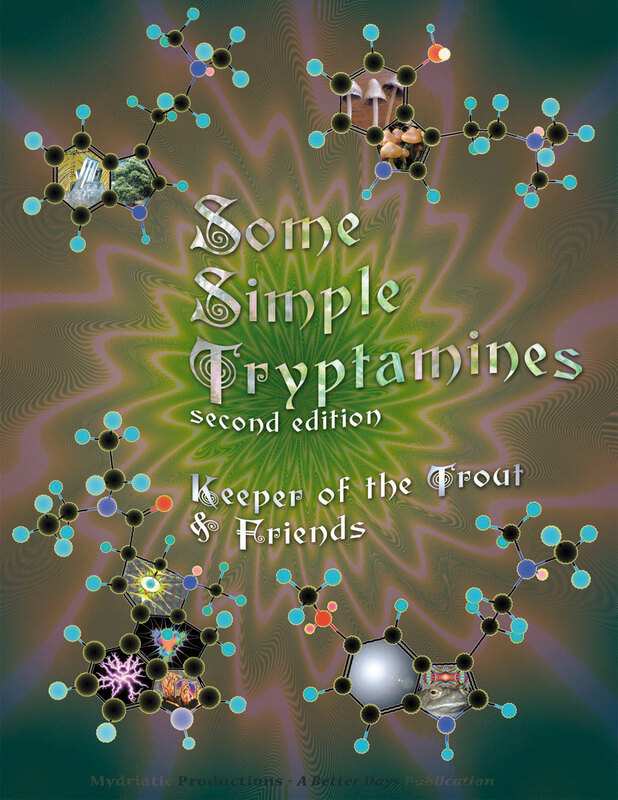 Rauh’s collections which he knew had been collected earlier by Johnson, Ritter and Akers and which he also knew the latter were planning to publish. 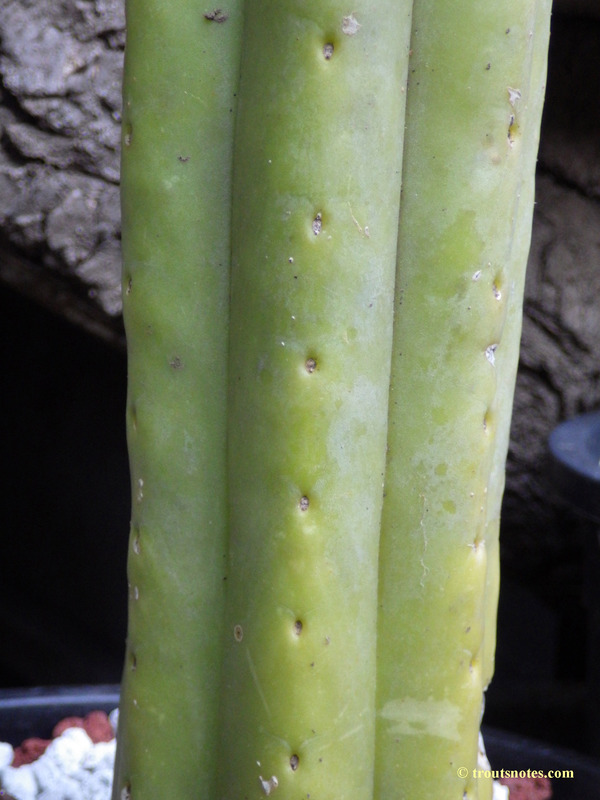 Secondly he seems to have described every minor variation so that for example we are confronted with some 20 new Haageocereus species from one river-valley in Peru! 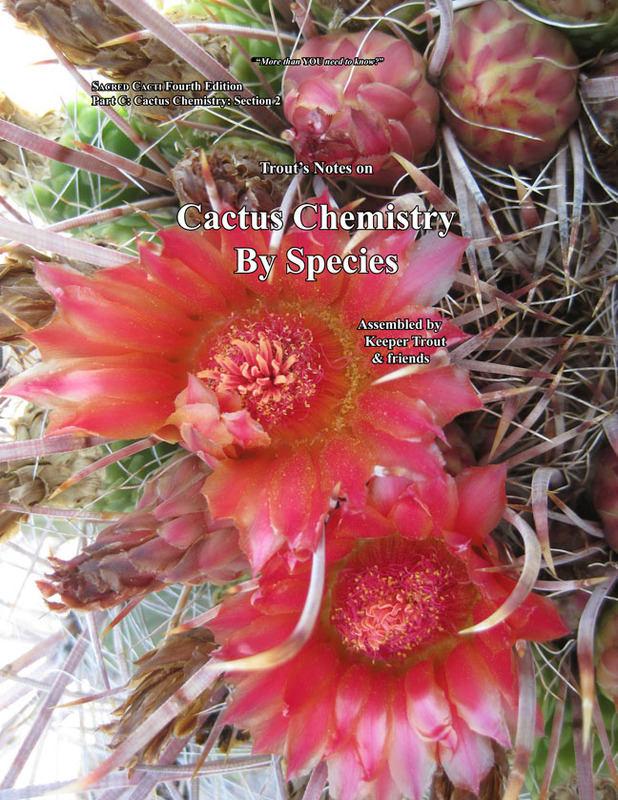 The descriptions are ridiculously short and he fails to mention how the new species differ from one another and from older species. 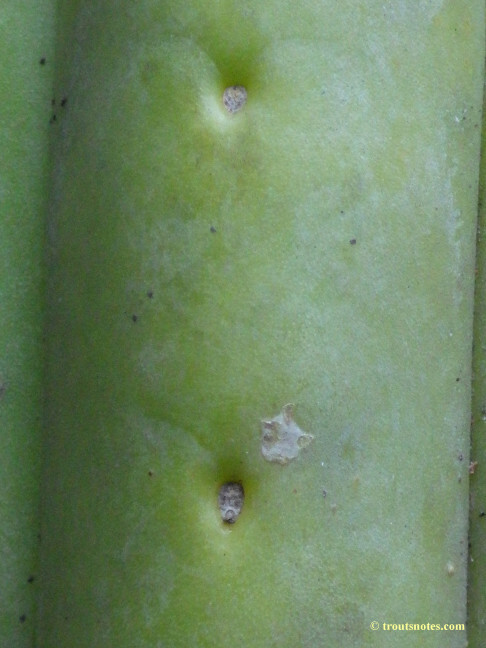 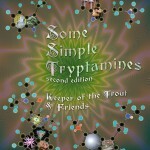 The result is that practically none of his new taxa are established as being actually distinct. The outcome of Backberg’s shenanigans was that the revision that was then underway in the hands of far more competent botanists was abandoned by those workers. Very little remains as evidence outside of Hutchison’s herbarium voucher sheets for Trichocereus huanucoensis.